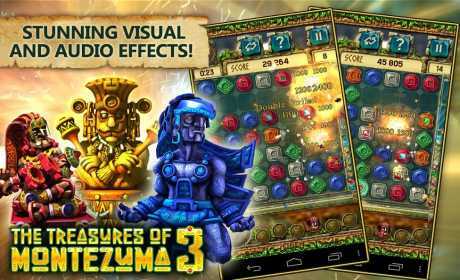 The Treasures of Montezuma 3 will challenge your skills as you try to rack up as many points as possible in one minute. The Magic Totems make a return, allowing players to pull off insane combos. 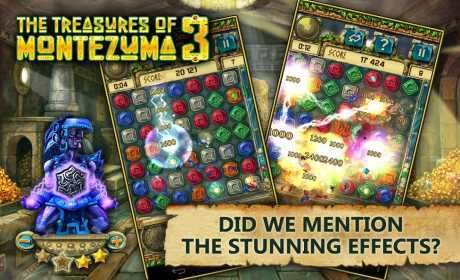 By using the powers of the totems strategically, you can score high enough to earn the Magic Stars you need to upgrade your bonus items to the max! 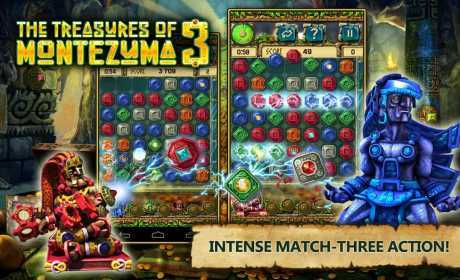 Don’t miss out on playing the most spectacular match-three game in the award-winning Montezuma series!